good conversation and discussion. It's also a safe place to ask some of those burning questions. The course is held once a week, and runs for 12 weeks. 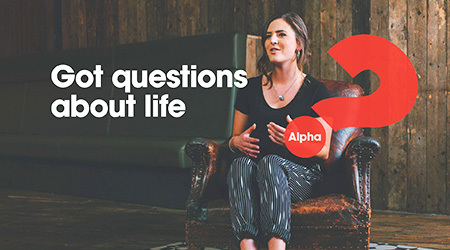 Alpha really is a great way to meet new people and discover more in a relaxed and friendly environment. Fill in the form below to find out more information on upcoming Alpha courses, and to register your place.